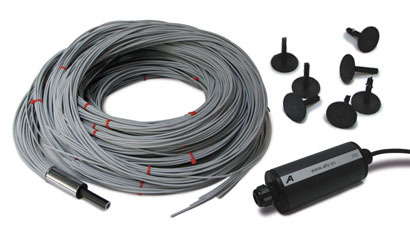 A fiber optics system for swimming pools, ponds, lakes, garden walls, paths, walkways, and other hard surfaces of concrete, natural stone, marbles, or ceramics. 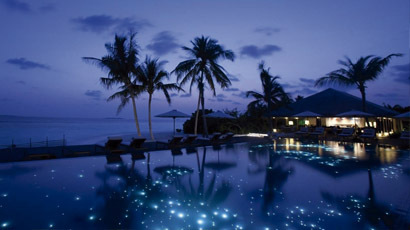 Most underwater starry skies are made from three different products: illuminator, clad fiber and supports or stands. 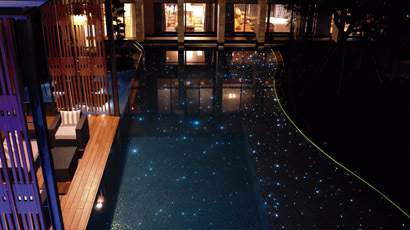 Starfield is the revolutionary Advanced Fiber Optics kit with which to add a touch of magic to pools and other water features, garden walls, pavements, walkways and any other surface indoors or outdoors. 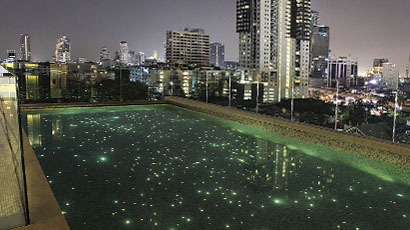 The Starfield has a power drain of only 4,3W; therefore, each of its forty ultra-bright points uses one-tenth of a watt or a fraction of the power of any conventional system. The Starfield manual contains scores of drawings, examples, and step-by-step instructions. Anyone without previous experience in fiber optics can professionally install the kit in just a few hours. 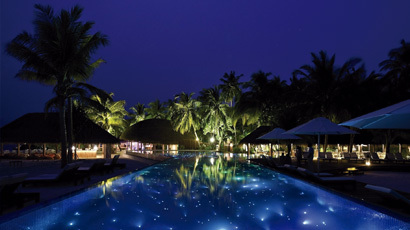 Powered by a state-of-the-art LED illuminator, the Starfield light conductors, with a 20-year guarantee, can be directly buried in soil, cast in concrete or mortar, or placed underwater for lifelong enjoyment of striking effects. Operating at 12VAC the Starfield illuminator can be installed anywhere with complete safety, even close to water. Fiber optics are passive elements never requiring replacement or maintenance. The sealed Starfield illuminator, with a high-quality CREE LED, has an average operating life of 50,000 hours or 20 years of normal use. Each Starfield kit provides 40 ultra-bright points of light in areas of up to 400m2 at a fraction of the cost of conventional lighting and with the many advantages of fiber optics. 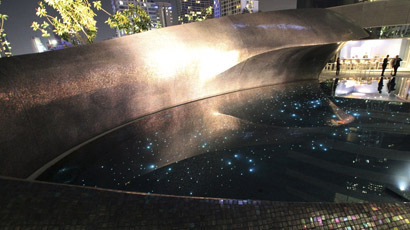 Over 360m (1,200ft) of hi-tech light conductors!